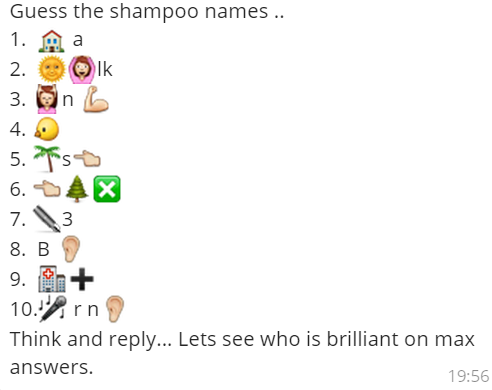 Whatsapp Emoticons Quiz " Guess the Shampoo Names "
Guess the Shampoo Names .. from the given Whatsapp Emoticons / Emojis and give your answers in the comments. Think and reply.. Lets see who is brilliant on max answers.